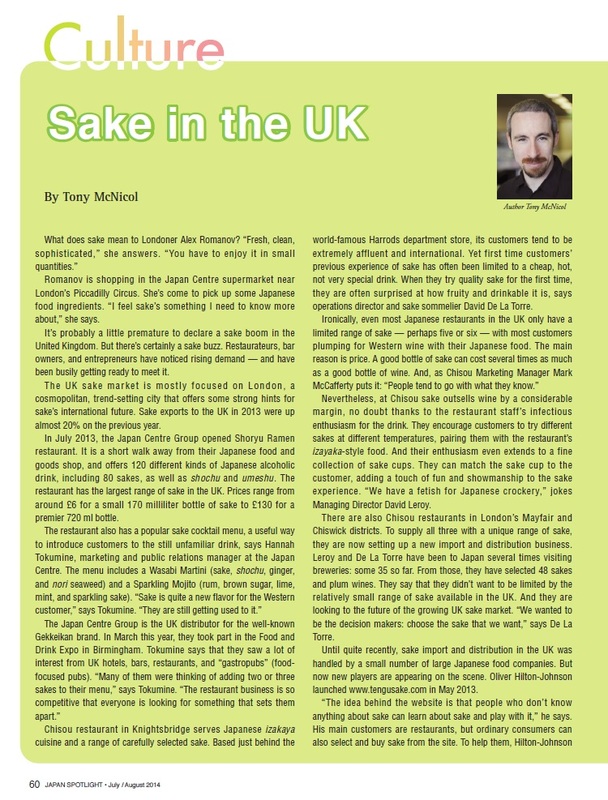 We are delighted to announce the first UK visit of the Yasumoto family, including Master Brewer Takeshi Yasumoto, from Hakugakusen Brewery, who will present an exclusive selection of their Premium sakes, aided by SSI-certified Sake Sommelier Ms Hitomi Kimura. A selection of Japanese food, prepared especially by our hosts to match the sakes, will be served. In addition the evening will include a presentation of exclusive sake ceramics by Ms Kazuko Sashita from Tokyo’s Space Q Gallery; Ms Kazue Shinohara will demonstrate Japanese Calligraphy and Ms Fumiko Kikuchi, Origami, with originals for you to take home as gifts. All are coming over from Japan just for this event. This promises to be a very special evening, but places are limited so book early. Cost: £25 members / £30 non-members. All Welcome. 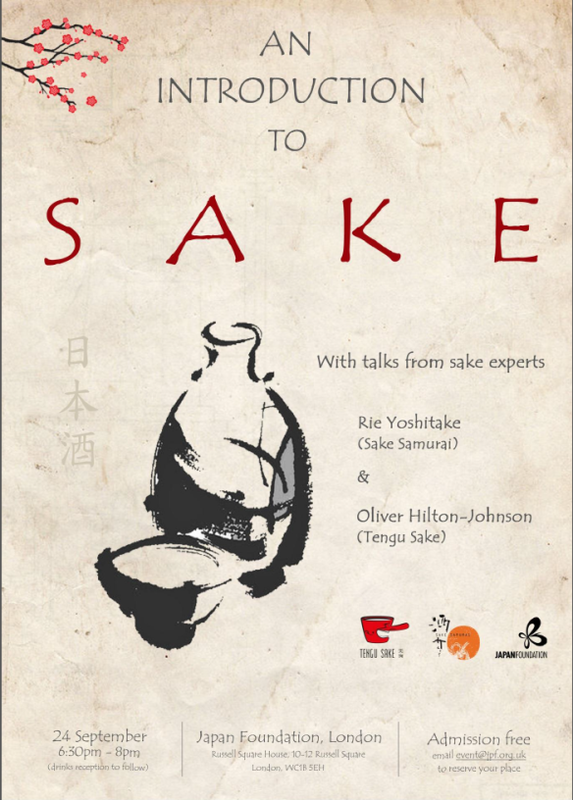 To book email events@britishsakeassociation.org, stating the number of tickets, the names of attendees and whether a member of not. You will then receive a payment request via email. 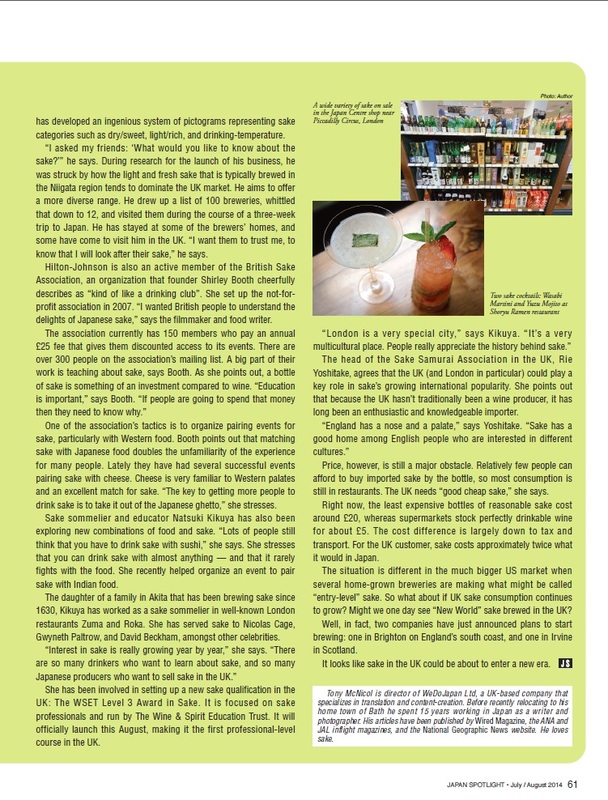 An article about the sake market in the UK from Japanese publication “Japan Spotlight” by Tony McNicol featuring BSA Director and founder Shirley Booth and BSA Sake Educator Oliver Hilton-Johnson. PDF version can be read here.